Locks210.com has recently learned about some new techniques being employed by various companies masquerading as locksmith companies. 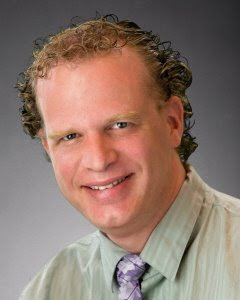 These techniques include the manipulation of internet search engines, using inherent tools and knowledge thought held secret by search engine companies. In almost all cities and towns across America, Canada, Europe and the Middle East, the search engines are full of the same scammer companies that have taken up residence in the first pages of the classifications in Yellow Pages and other telephone book directories. It is a well known fact that search engines use spiders to crawl the web. These spiders crawl through all internet websites, looking for external and internal links, website content and keywords. To place higher in given search terms on any search engine including Google, MSN, Yahoo and others, a combination of the 3 above items need to be constantly updated and reconsidered and reconfigured. Increasing the quantity of links to and from your website is of vast importance to improving your website rankings. The scammer locksmith companies have cottoned on to this knowledge and produced many thousands of individual websites with individual domain names and are now linking all these sites together. This automatically gets the search engine spiders to work much harder to map the web, consequently causing those particular sites to rank higher in search engines for given keywords. 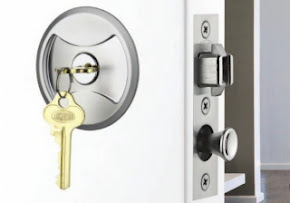 It is therefore very important for customers of locksmith companies to be wary of and check the affiliations and (in some states) licenses of their selected locksmith professional. 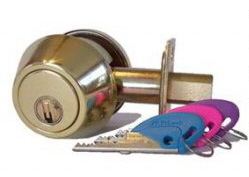 Independant investigations conducted recently, have produced high statistics of the more common locksmith requests and the quantity of locksmiths who advertise in Yellow Pages and first page of search engines, have revealed that many of these scammer companies, using deceptive techniques through their advertising, have been receiving the major percentage of inquiries. Further investigations of these companies have revealed insufficient training and knowledge of local hardware, replacement parts, access to tools for the professional tradesperson. Their insufficient knowledge and training of local products proves that the outrageous prices they have been levying are ripping off consuners. The names of these companies have been listed numerous times in various news articles and reports. I will not list them here, because this action will increase their presence on the world wide web. Pre-screened service professionals is one way to go, but be wary of locksmiths who are not members of professional associations and can prove such. 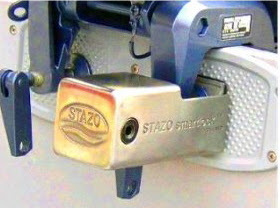 The SmartLock outboard motor lock is suitable for all outboard engines which use clamps screws. Installation takes less than one minute and firmly secures the clamp preventing it being undone deterring and preventing theft of the engine. - Completely made stainless steel and will not rust. 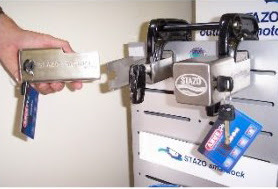 - Includes a STAZO/ABUS Plus marine cylinder lock, with Key Code Card for extra security. 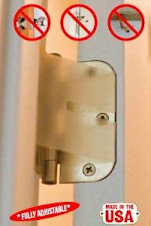 - 5 years warranty on the lock mechanism of the cylinder. - No tools required for the installation. IntelliVid provides intelligent video analysis solutions designed to meet the specific demands of the retail environment. Its Video Investigator application unleashes the full potential of existing surveillance systems, transforming them from passive recording devices into real-time, proactive theft prevention and store intelligence solutions. Unlike general security applications that merely record incidences of theft, Video Investigator "watches" the video for retailers, filtering overwhelming amounts of video down to the key information that allows real-time response and immediate forensic investigation. Video Investigator alerts security personnel to crucial incidents as they happen, allowing store personnel to intervene before merchandise leaves the store, dramatically reducing losses. IntelliVid’s intelligent video analytics have been proven to work reliably in the busy, chaotic environment of retail stores, providing unprecedented intelligence in not only loss prevention, but merchandising, public safety, physical security and liability cases. 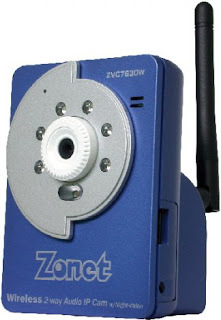 Zonet ZVC7630W – Two-Way IP Camera with Night Vision delivers real-time, high quality video/image over the networks. The ZVC7630W functions as a video/audio/surveillance camera allowing you to view live events with your web browser via Internet or Intranet. It delivers simultaneous MPEG-4 and Motion JPEG video, automatic day/night functionality that provides perfect color images in low light conditions, motion detect, automatic image capture, and e-mail alerts, making it the ideal solution for Internet video broadcasting applications. An all in one simple to operate mega recording machine that also functions as a working clock radio. Our new patent pending stealth recording technology eliminates the need for additional bulky recording devices. A quality CCD camera is concealed within the clock radio's front and the back contains a cleverly installed SD video recorder. The Stealth Cam is a simple to use and easy to deploy advanced recording system in an everyday household item. The Stealth Cam emits no wireless signals that may or may not be stable within an already RF rich environment. Your video is safely stored within the removable SD memory card unlike some wireless camera systems that may be intercepted. Captured video may be viewed on a PC using Windows Media Player. Stealth Cam is motion activated with time / date stamp capabilities. Motion activation is the must have feature when you are monitoring an area that may not always have a subject present. Now you can record the action when it happens. This feature saves valuable memory space and also reduces the time it takes to review the captured images. Supporting Mpeg4 at 30 fps you may play back the video on your PC. Stored video on the SD card may be played on your PC in the convenience of your home or office. You can organize the files on your PC for later review. You may also email the files to to business associates, security professionals, law enforcement, family, friends, or loved ones. The StealthCam is the only nanny cam you will ever need. Control Access and Strengthen Security. Designed for quick and easy user positioning allowing for very simple use and rapid authentication in under one second. The VisionAccess 3D Face Reader is comprised of a real-time 3D surface scanner working in invisible near-infrared light and can be used in both identification and verification modes. The reader is used for strengthening security at corporate buildings, banks, hospitals, airports and other types of entry points for the commercial and Civil ID markets. The system is designed both as a stand alone system or to interface with legacy access systems in a distributed networked environment. Perform rapid, real-time matching and recognition. Overcome processing constraints common with most other face recognition technology. Capable of high performance in real life environments. Equal recognition performance in light or complete darkness. Glance in the direction of the reader anywhere from 3-6 feet away. Interfaces with wide range of readers, including magnetic stripe, Wiegand, proximity and smart cards. Integrated LCD feedback for optimal ergonomics. Fast and easy face positioning. Recognition within less than 1 second. Biometric (face), card, and PIN can be used in any combination for single, dual or triple factor authentication. The same 3D template is used for both physical and logical access. Common and familiar user experience for access to a building or computer. User configurable biometric finger-scan reader! The V-Pass FX™ is the ultimate biometric reader for physical access to facilities, eliminating the need for PINs or keys to gain access to secure areas. Bioscrypt’s V-Pass FX finger-scan reader provides flexible security options; finger only security in 1:N mode or dual-factor authentication in 1:1 mode with an external Wiegand reader. Panasonic recently unveiled two types of Security Cameras-VL-CM140KT and VL-CM160KT equipped with a sensor, which can operate in concert with the Panasonic's flat screen TV VIERA. When the Security Camera is connected with a compatible model of VIERA via LAN, images shot with the camera can be viewed on the TV screen. It is designed to monitor various places on private property, such as the garage and entrance. 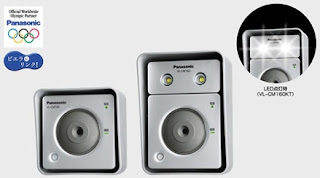 The two Panasonic Security Cameras the VL-CM140KT and VL-CM160KT, are both for outdoor use. They are fixed-focus cameras equipped with a 1/4-inch 320,000-pixel CMOS image sensor. The VL-CM160KT has a white LED light in the camera unit to illuminate the object when the sensor is activated. The focal range is 0.3m or farther. The cameras output JPEG-compressed images frame by frame. Both models are powered from a power supply unit provided with the product via a LAN cable that works also for the network connection. They can be installed under the eaves, etc, because the camera unit has a rainproof performance equivalent to JIS waterproof grade 3. They are operable in ambient temperatures from -20 to +50°C. When the camera is connected to a compatible VIERA model via a LAN, images shot with the camera can be displayed on the TV screen using the remote control. If the sensor is activated when the TV is on, a message to inform the user of the activation is displayed on the screen. The compatible models of VIERA are the TH-50PX80, TH-42PX80, TH-37PX80, TH-32LX80, TH-26LX80, TH-20LX80 and TH-17LX8 as of Jan 21, 2008. oth cameras are slated for launch on April 21, 2008.